Four teams from the Spanish league (Asobal) are heading to Vigo to contest the 22nd Copa Asobal. As you might expect two of those teams are Barcelona and Atletico Madrid and the other two are not. It’s all set up for a Barcelona-Atletico final but before that there is the small matter of the semi finals to be played. Today (December 21st, the day the world ends) sees Atlético Madrid play Naturhouse la Rioja at 6pm UK and that is followed at 8pm by Barcelona playing Reale Ademar León. The final is tomorrow at 5.30pm UK. All matches are live and accessible in the UK at Laola1. Barcelona have taken this title 7 times; Atletico (including in their previous incarnation) 6. Reale Ademar León have two titles to their name but, despite that, the bookies make them only 33/1 to even win their semi final this time around. 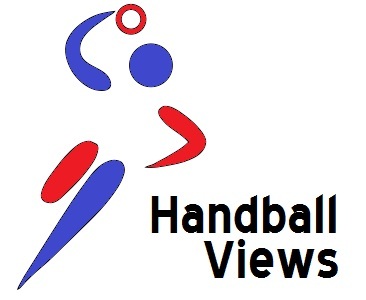 With the Men’s World Championship occupying January this is the last club action for these teams until the start of February – hopefully they will be looking to go out with a bang and play some entertaining handball on the way. Copa, Super Copa. Preview and where to watch. The Spanish season throws off in style on Saturday with Atlético Madrid taking on FC Barcelona in the Super Copa. Barcelona have taken the Super Cup 14 times and Madrid four (including three times as BM Cuidad Real). The boys in red and white are the current holders and they beat Barcelona in last season’s Copa del Rey – although Barcelona took the main domestic prize, the Asobal title. The bookies make Atlético very slight favourites to win both this match and the league, although it’s likely to boil down to how the two teams do in their head to head fixtures. Atlético have had an interesting off season with both Didier Dinart and Luc Abalo heading to the newly-flush Paris but they’ve also captured the signature of Ivano Balic. Barcelona were a little quieter over the summer although it might be worth noting that 2002 World Player of the Year Arpad Šterbik joined them from Madrid although that was 10 years ago. Obviously nobody knows what to expect in the first match of the season but my guess would be for a close game with some nice bits of niggle. The atmosphere should be good though: it’s being played in the 15,000 capacity Palacio Vistalegres. That’s the home of Atlético Madrid. There’s legal coverage via Bet365 and also the laola website here and it all starts at 5pm UK.